Dr. Martin H. Klein, Ph.D.
People go see a psychologist for a variety of reasons. Often they are interested in personal growth or improvements in their relationships and careers. Others want to understand how the past affects who they are and want to make changes to their personality. Sometimes people are in crisis or wanting help with specific life transitional issues or problems. Still others are looking for a more brief, focused cognitive behavioral approach to reduce or change specific behavioral patterns or symptoms. Dr. Klein will work with you to choose the best type of treatment necessary to meet you and your family's personal psychological concerns. He is a seasoned clinical psychologist who specializes in individual psychotherapy, marital and couples counseling and executive career coaching. He treats adults and children who are in crisis or need assistance facing everyday challenges. He works with couples who have interpersonal conflicts and intimacy and communication issues. Many people seeking his services struggle with work, relationship and family issues as well as symptoms of depression, anxiety, self defeating patterns, negative thoughts or irrational fears. ​Dr. Klein is a compassionate listener with a good sense of humor and a warm and engaging style. His approach is practical and down to earth. Each person is treated as an individual, and treatment is tailored to meet one's personal needs. The goal of treatment is to achieve greater satisfaction, be more productive in your personal and professional life, and feel better about yourself and your relationship with others. Dr. Klein practices cognitive behavioral therapy (CBT), which utilizes strategies to change unwanted thoughts and actions. He also applies more in-depth existential psychodynamic approaches, which focus on how both our past and current experiences affect the ways we act, engage and understand ourselves and others. Dr. Klein helps couples pinpoint and understand the sources of their conflicts and work toward resolution. He will work with you to achieve a better understanding of the external influences and family dynamics that play a role in shaping your relationship and causes dysfunctional interactions. He will assist you in developing new strategies to solidify your relationship and regain trust and intimacy. The work will include learning how to openly communicate, problem solve and develop new productive ways to discuss, understand and accept individual differences. Dr. Klein uses a combination of play and talk therapy, active family system involvement and cognitive behavioral interventions. He works in a collaborative manner with psychiatrists, pediatricians as well as school psychologists to develop a coordinated treatment plan. Parents are active participants in the treatment and are kept informed on all relevant issues and progress. Dr. Klein works with senior executives as well as medical, finance and academic professionals on both a personal and professional level. He practices in a pragmatic and action-focused manner to quickly resolve personal and career issues and achieve success. As a senior clinician, he is experienced in helping professionals work through "mid-life crisis" and career-specific issues such as employment transitions. He is experienced working with older professionals who have difficulty finding a new position after being laid off or who are facing retirement. Dr. Klein's background in existential philosophy deepens his ability to work with individuals struggling with issues of identity, spirituality, meaningfulness and creativity. He is sensitive and respectful of different religious and cultural beliefs as well as issues related to ethnicity and gender. His compassionate approach works well with people who are going through loss and grief associated with the end of a relationship, aging, illness or the death of a loved one. 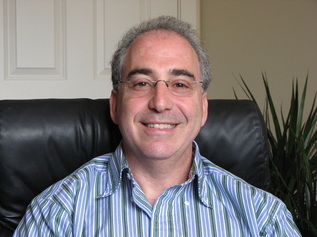 Dr. Martin Klein offers a free phone consultation and will be glad to discuss services, fees and insurance questions. As a licensed clinical psychologist he participates in many health insurance plans as an in and out-of-network provider for plans such as Medicare, Anthem, Unions, United, Aetna and Cigna. He also offers internet appointments, via Skype or FaceTime, as a courtesy for individuals who are unable to travel to his office or are living out of town.